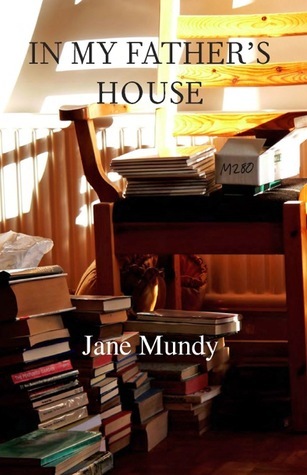 In My Father’s House by Jane Mundy uses an unusual scenario to lure the reader in: it’s about a woman who’s a hoarder and she gets in one of those clutter-buster types to help her sort out the mess in the house so that it can be sold. This process enables the characters to retrieve memories long suppressed and to sort out what it is that they really value. The last time I read a book in a similar vein was Homer and Langley by E.L. Doctorow and that ended very badly indeed because they didn’t have a clutter-buster! In this novel, however, the author shows not only how necessary it is to shed the hoard, but also how hard it is. Martha the clutter-buster proclaims her three rules of thumb: ‘do you use whatever it is;? do you need it? does it have any sentimental value? but her method also includes starting in the kitchen where there are fewer items likely to cause angst, and also lots of talk, asking about Beth’s future plans. Still, she gets it badly wrong when she is about to toss a wok into the pile of discards, not realising that this particular wok has memories that go back a lifetime. Beth was a young adult when the Vietnam War started tearing Australian families apart. Her father, who for his own hidden reasons is dogmatically supportive of the military, is also implacably against anyone who objects to Australia’s participation in the war. Beth falls in love with a young conscientious objector. This is the kind of scenario that estranged families for decades. The novel is beautifully constructed so that the jigsaw pieces of Beth’s memories are only gradually revealed. At the same time, her emerging friendship with Martha’s son enables Martha to confront issues in her own life. Her son has warped ideas about what it means to be brave and his desire to prove himself as a soldier in Afghanistan almost breaks her heart. What also interested me in this novel was the unflattering depiction of the writing life. Beth’s father is a would-be writer, and he tyrannises his family into sharing every single event in their lives so that he can pillage them for inspiration. He demands subservience from all in the service of his art. He brooks no rivals. His sardonic cruelties reminded me of Felix Shaw in Elizabeth Harrower’s The Watch Tower. A horrible man, who made family life a misery. Letters would often arrive at our house from these magazines, amateur writing groups who’d run story competitions, that sort of thing. They were all for Father. I would collect his mail sometimes and put it on his desk for when he got home from work. I learned that the days these letters arrived were bad days. First there would be the sound of an envelope being ripped open, then a short silence, then the slamming of a fist on the desk or perhaps the crash of an upturned chair. In due course Father would emerge thunderously from the bedroom and Mother and Nigel and I would scuttle from his path like ants from the footsteps of a giant. Occasionally one of these letters might contain a note from an uncharacteristically kind editor explaining briefly why some piece Father had written had been rejected. Over dinner on such occasions Father would launch a merciless attack on each carefully worded, diplomatic explanation, defending his position and drawing into question the professional expertise and parentage of the editor. The characterisation of Beth’s doormat of a mother (no, no spoilers!) is one of the best surprises in this novel. I was also impressed by the way the author wove current events and recent history together and depicted times that I lived through with faultless authenticity. It doesn’t feel as if it’s ‘been researched’; it feels as if these passions and obsessions have been lived. This is a terrific book. I look forward to reading more by this author. My mom was a hoarder and she died last November. I spent six months living in er house after her death, sorting through her things. Talk about jigsaw memories! And, being my mother’s daughter, I struggled with getting rid of things. It was a project fraught with tremendous emotion. I’ve just bought the Kindle version of In my Father’s House and I’m very much looking forward to reading it. Thanks for bringing it to my attention. It is your reviews that lure us in Lisa. “… (no, no spoilers) is one of the best surprises in this novel.” How can we resist? Sounds like a good read … On a topic that is probably dear to many of our hearts! Thanks for this. I hadn’t heard of this writer and it’s on my list now. . I see she’s also written a book about Bolivia that sounds intriguing. BTW, did you sea that “The Night Guest” shared the Barbara Jefferis? Yes, I did. Not a novel I was very excited about. I was barracking for The Mountain, The First Week and Pilgrimage! LOL I had a little tidy up myself, this morning. A big bag full of clothes to the Op Shop. But the books? Um… they *all* have sentimental value! I love the cover of the book. That looks like my room :) The only difference is that mine is more cluttered! Ha ha, we’re all making confessions about our messy houses! Yeah :) I keep saying that I should remove the clutter – put the books in their proper places and I do that. Then after a couple of days the house is back to its earlier state – business is back to normal :) I have now given up! As my wise old mother used to say, ‘the road to hell is paved with good intentions’!